Fear Factory: Putting the finishing touches to new album. FEAR FACTORY's Burton C. Bell is "putting the finishing touches on his vocals" for the band's new studio album, tentatively due this summer via Nuclear Blast Entertainment. The CD is being recorded in part at NRG Recording Studios in North Hollywood, California with longtime producer/collaborator Rhys Fulber and engineer Mike Plotnikoff. The effort will be mixed by acclaimed British producer Andy Sneap, who has previously worked with MEGADETH, KILLSWITCH ENGAGE, EXODUS, TESTAMENT and ACCEPT, among many others. Speaking about what FEAR FACTORY is trying to accomplish with its forthcoming album, the band's first since signing with Nuclear Blast, guitarist Dino Cazares said: "It's still just to be who we are. We are 'cyber metal,' whatever you wanna call it, but it's still a lot of the killer riffs, killer double bass, Burt's beautiful, melodic vocals. Conceptually, it's always still futuristic, man-versus-machine type of thing, but, you know, we thought we're gonna keep it real, keep it what we are and who we are." In addition to Cazares and Bell, FEAR FACTORY's current touring lineup features drummer Mike Heller and bassist Matt DeVries. 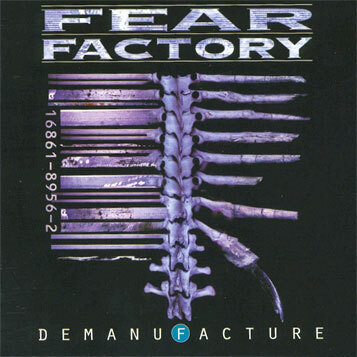 FEAR FACTORY's latest album, 2012's "The Industrialist", sold 9,300 copies in the United States in its first week of release to debut at position No. 38 on The Billboard 200 chart.